The bath tub is the perfect place for your toddler to work on their creative side and express themselves through art! 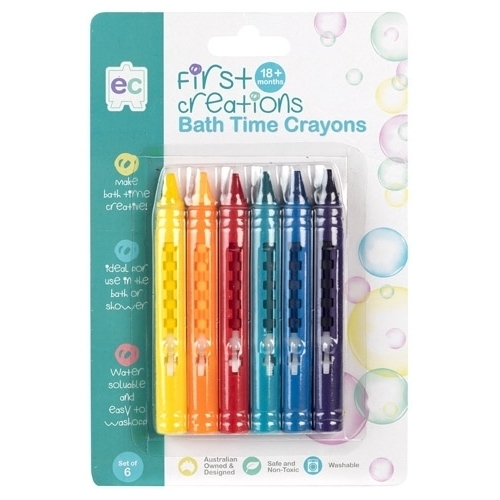 These non-toxic washable bath crayons are made specifically for use on surfaces like bathroom tiles and shower walls, therefore they are easy to clean, making bath time great fun for all! Children can draw pictures, practise writing their name or learn colour recognition. 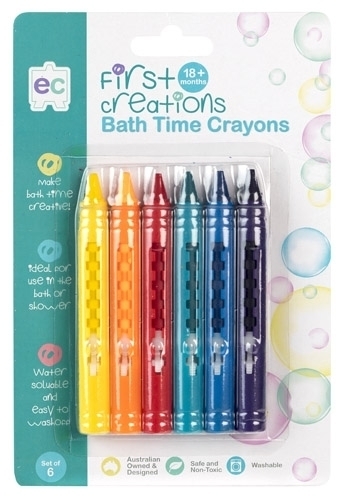 No matter how your artist expresses himself, these brightly coloured bath crayons will make for hours of creative play! Perfect size and shape for little hands to grasp. Easily washes off bath tiles with a damp cloth or sponge.